It’s the age old question – what’s more important, rudiment development or learning new and challenging music? I think every pipe band drumming teacher faces the same dilemma on a regular basis. I mean, if you don’t enforce the rudiment execution, then the scottish snare drum student wont be able to handle a pipe band drum score. However, if you hand them out a piece of music without the rudiment knowledge and skill, then they wont be able to progress or play it well. During my travels teaching pipe band drumming in North America, New Zealand and Australia I met several drummers who had been drumming for 6 months to a year. They knew 5 or 6 drum scores and had competed with a pipe band! To me, I found it quite shocking to be honest. I mean, these players were literally coerced into learning the music so that the band had enough drummers to compete. I totally understand the predicament these pipe bands are in. However, would it not be better to take a year or two off from competitions, and build the ranks through education and non-competitive performances? Provided the situation allows you – I suggest that rudiment development is the key to short term and long term success in scottish snare drumming. In fact, I would go as far as saying that rudiment practice is a lifelong journey that every pipe band drummer must follow. Talking with many of the worlds top pipe band drummers, they say that they spend 60-95% of their practice time on rudiments, execution and technique development. I personally practice more rudiments than drum scores. In fact, I can honestly say that 80% of my practice is purely on rudiments. I generally lock the pipe band drum scores in my head and then practice them when I am out for a walk – mentally rather than physically. Nowadays, more and more people are realising that scottish drumming, and bagpiping are very mentally challenging – not just physically or technically. If you are ever asking yourself why you have to practice rudiments so much – remind yourself that your drum scores will flow much better for doing so. And in doing so, you will develop the correct technique to execute the score to a greater level. n.b. 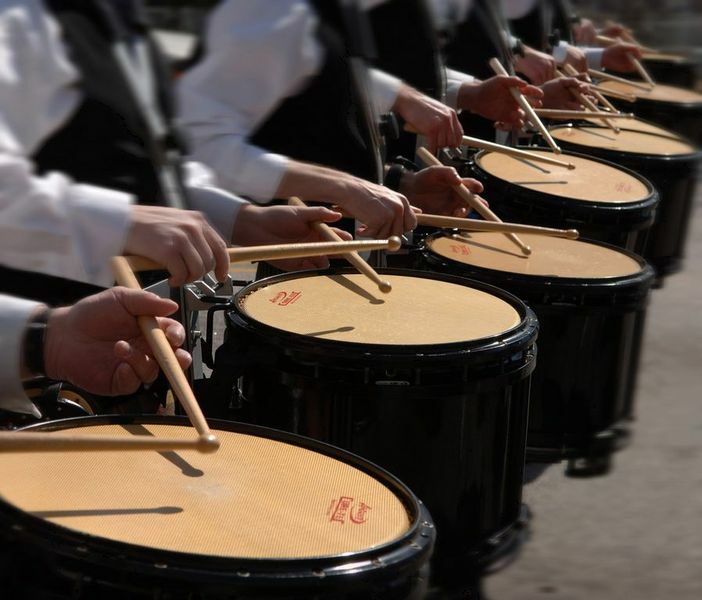 Pipe Band drummers – rudiments are king. Get your hands on the Worlds best-selling pipe band drumming book. Pipe band drumming workshops and scottish drumming clinics are always a great source of inspiration for the attendees AND the instructors. I have been fortunate enough to have been on both sides of the table. I recall as a young pipe band drummer going along to scottish drumming schools or clinics. It was the most amazing opportunity for me to pick the brains of the tutors and learn what I could to improve my playing. As a young pipe band snare drummer, I didn’t have the most refined technique – in fact it was pretty average (actually it wasn’t pretty at all!!) and instead, I focussed on the pipe band drum scores. At those initial workshops, I would simply want to collect as many scores as possible and play through Hornpipes, Jigs and Reels. Little did I realise, that to get better at the “fun” stuff, I had to improve my technique. What is technique? Well, it’s simple really. It’s how you hold your scottish snare drum sticks, the position of them and the balance. And it’s also how you propel and catch each and every stroke. It sounds like something you can cover in a 30 minute session drumming lesson but in fact it’s something that pipe band drummers must continually work at. I recall sitting down with pipe band drumming legend, Jim Kilpatrick, three years ago. It was the very first time I had sat one-on-one with him and it was enlightening. Within minutes I was fully aware that I was gripping the sticks too tightly, working too hard and generally being too tense. Jim, in his relaxed and professional teaching approach, showed me some fantastic scottish drumming technique exercises. He made it all look so simple. I found it very difficult! I have shared this story before, and many people have responded – “But you have won the world pipe band championships several times before, why change what you are doing?!”. Well, simply – I want to learn and I want to improve. All musicians (including bagpipers and scottish drummers) should be on a mission to constantly improve. Once you lose your appetite to learn – you may as well give up. This past weekend in New Zealand, Jim Kilpatrick taught at the World Masters Workshop for bagpipers and pipe band drummers. I had the fortune to sit in on one of his technique classes. I felt my technique was more relaxed and fluid than our session a few years ago. However, I also realised how far I have to go and Jim was able to challenge me on other areas – including mental strength whilst playing. He also admitted to the class that he is on a relentless journey to learn and improve his technique and understanding of pipe band drumming. My greatest joy in pipe band drumming is not competing. It is teaching. Teaching pipe band drumming to enthusiastic students is the most rewarding part of my career. For all you pipe band drummers out there who teach, I hope you are still passionate about learning – that way, you will be sure to pass on a solid and rounded approach to your pipe band drumming students. The journey of learning pipe band drumming continues for me … almost 20 years on! Do you want to learn pipe band drumming? Check out the Guide to Pipe Band Drumming Books. Learn to play the pipe band snare drum, at home on your computer or on the run with your iPhone or mobile device. James Laughlin, World Champion snare drummer, has created informative and professional pipe band drumming video lessons, for drummers of all levels. Purchase the whole Series, and save yourself over $38. 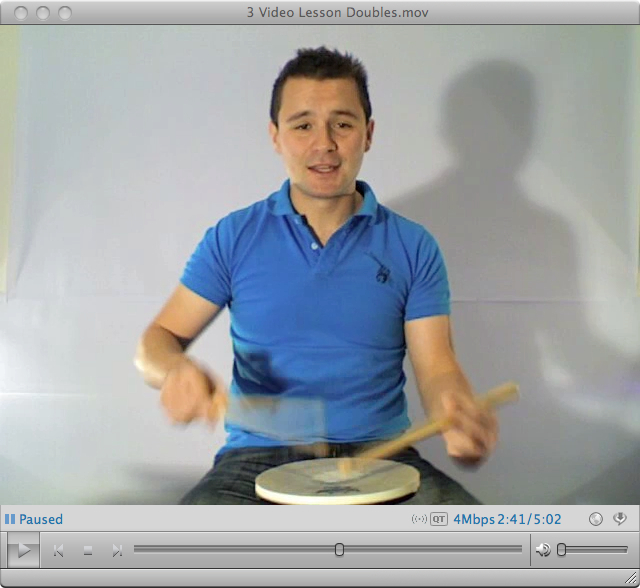 This includes 17 Drumming Video lessons, packed full of informative and educational information, the series is presented in order to take you from the very start to mastery of the basics of Scottish drumming. Buy the 17 Lesson Video Series now, and enjoy your HUGE DISCOUNT! Get Your Video Lesson today! It’s fantastic to know that people all over the World are enjoying the Guide to Pipe Band Drumming eBooks. Receiving emails and Facebook messages about personal success stories is very humbling and rewarding. I would like to thank everyone who has purchased my eBooks – it makes all of the hours, weeks, months and years of hard work very much worth it! – “James!!! Seriously man, this new book of Marches is insanely good! So many of the tunes that originally hooked me on pipe bands are in there (along with some that are completely new to me), and those scores that you have penned really just lift them, bringing even the most simple tunes alive. The sound bites really help too! I have been picking up these tunes quicker than ever before! Awesome setup James, the Guide to Pipe Band Drumming books really helped my technique, now this book puts all that into practice…such great scores, beautifully phrased, they really are a joy to play!!! All we need now is your book of Hornpipes, Strathspeys, Jigs, Reels…keep them coming!” Simon Black, Northern Ireland. – “I have been looking over the ‘Grade 4 Drum Score Collection’ by James Laughlin for a couple of weeks now. All I can say is… Simply brilliant! As a Drum Sergeant and tutor of a successful grade 4 band in Australia, I can definitely say that this book is an essential tool for creating a winning sound in your drum corps. The scores are well written, and easy to sight read. The Mp3 sound files that accompany the book are of very high quality sound, and played at an excellent tempo. I highly recommend this book of Marches to any drummer/tutor wishing to expand their tune base with high quality settings! I look forward to future editions. “ – Robert Hayward, Australia. Whether you are a beginner, an experienced player or someone looking for teaching manuals – then you will find everything you need at Come2Drum. Come2Drum.com is the first every website to offer all Massed Band Drum scores with pdf sheet music and Videos. If you are trying to learn pipe band scores then you should check out the new page with Scottish Drumming Videos! Massed Band Drum Scores for New Zealand and the U.S.A. are currently available – more to follow shortly. All of you Scottish Snare Drummers – enjoy!